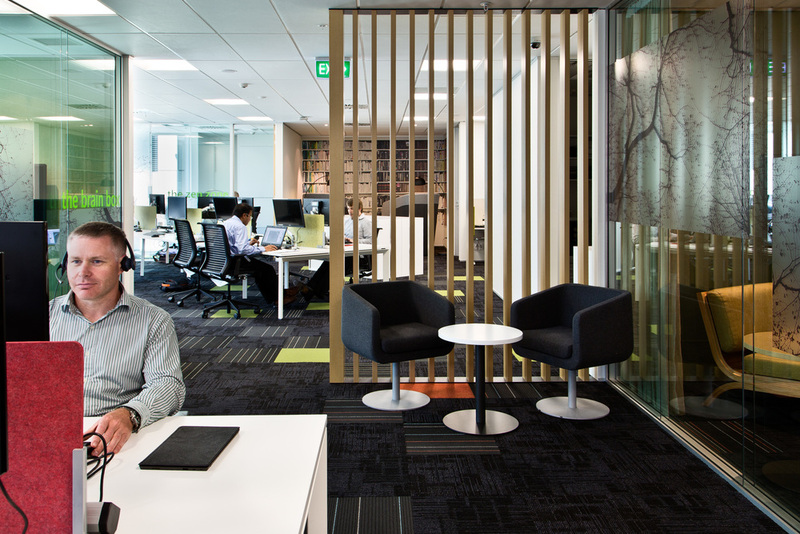 Microsoft Wellington now has three spacious zones. 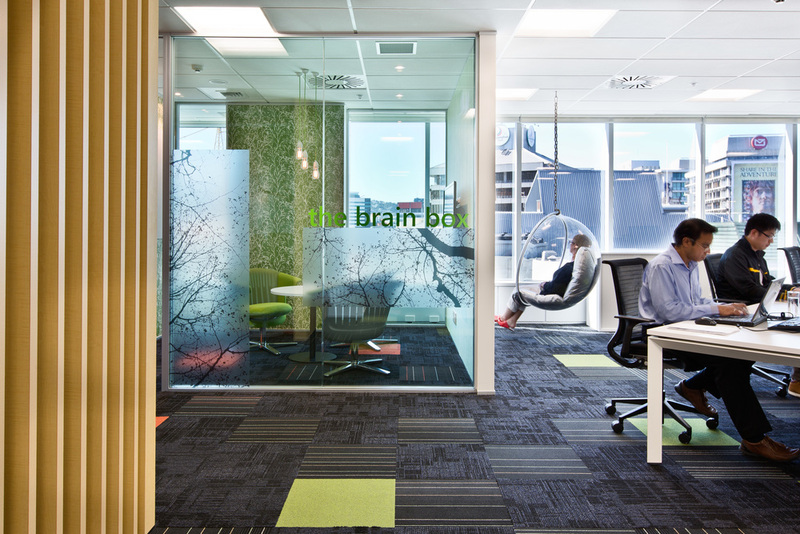 A blue-themed area greets visitors with a view over Lambton Quay and rooms infused with clear daylight for meetings with customers and partners. 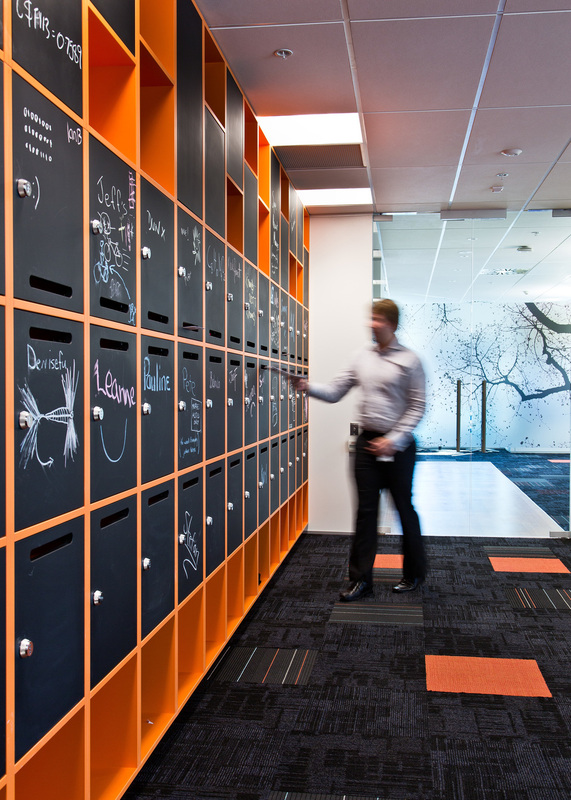 An orange-themed zone caters to collaboration and open-plan work. From a public café-style area, it moves to more formal workspaces including bar-stool desks, a lounge room, and a patio-styled breakout area with an indoor trellis and plants. Visitors are welcomed to a ‘The Greeting Hub’, the first glimpse into the company’s ‘heart & home’. This space is active, inviting and inspiring. 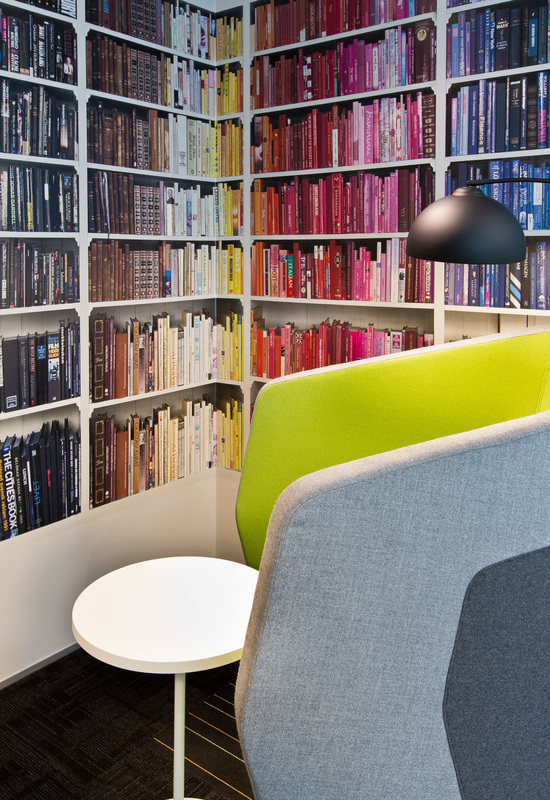 Connected to this is the ‘The Collaboration Hub’, more relaxed space to meet and eat. The new Workzone - which has only 20 desks for its 40 team members - is split into two activity areas, one for fast-paced active work and the other for concentrated, detailed work. Although the total area of the office is unchanged, the smart design that our employees teamed up on with the architects has given us extra meeting rooms, a larger reception area, and spacious accommodation of the same number of people. There are no fixed offices, cubicles, or desks. Each workstation is equipped with a monitor, mouse, and keyboard, so that people can use a single USB cable to quickly and easily plug in to a comfortable and productive desk arrangement.